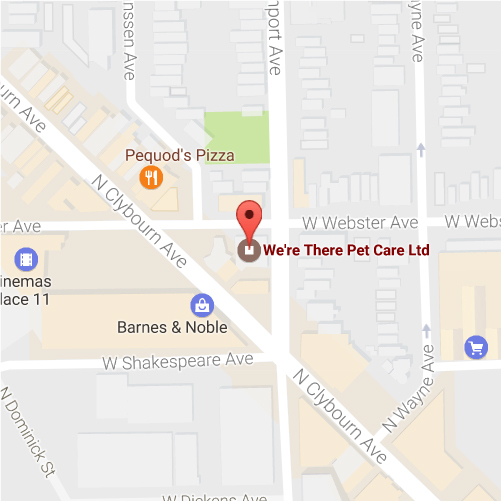 We operate on the north side of Chicago and serve many neighborhoods' dog walking and cat sitting needs! Our service borders are North to Devon, South to Division, West to Kedzie. Call us at (773) 935- 9983 to see if we service your location, you can also check the list below for a complete list of neighborhoods we service! We're There Pet Care is proud to be your local dog walker and cat sitter!